How is one “remolded” from within? How are people “transformed”? It helps to know a bit about the word we translate “remold” or “transformed.” The original Greek word is “metamorpho.” We get “metamorphosis” from it. 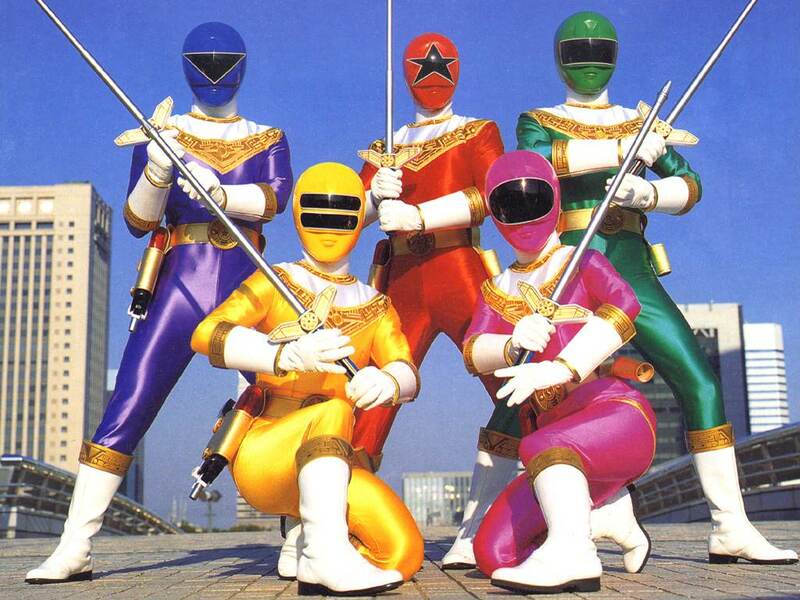 “Morphing” entered the public consciousness in the 1990’s in the children’s show, “The Mighty Morphin’ Power Rangers,” in which teenagers had the power to transform, accessing super powers to save the world from alien invasion. 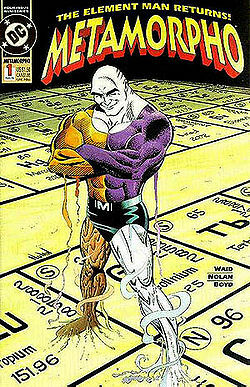 There is also a DC Comics superhero by the named Metamorpho who is so transformed that, unlike most superheroes, he cannot return to his pre-changed state. In both places Paul uses “metamorpho” to refer to followers of Jesus the word is in the passive voice – the action of transformation does not happen by us rather it happens to us. In both places it is in the second person plural, “y’all” – In other words the “transformation” is for the whole church as a community, rather than merely for the rare super-hero or super-saint. 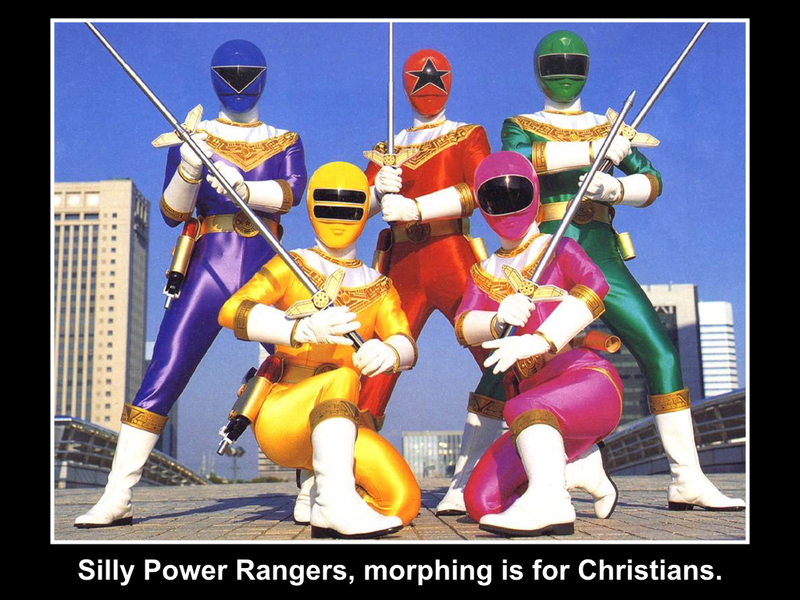 In both places being “remolded” presumes a life-time of faithfulness rather than the instantaneous appearance of transformation, such as Jesus’ transfiguration or the Power Rangers. In 2 Corinthians 3:18, “metamorpho” is the process of becoming like Jesus: “being transformed” (by the Holy Spirit) “into the same image (Jesus), from one degree of glory to another” (we become progressively more like Him). These two usages of “morphing” leave us with three principles: 1) Transformation is a work of God’s grace that happen to us rather than by us, 2) it is for the whole community, 3) it occurs over a lifetime…in other words, through repetition. To the surprise of many Episcopalians, Archbishop Cranmer’s vision for the church and Christian life was not the weekly Eucharist, but the Daily Office: The services of Morning and Evening Prayer. Cranmer, imagined a life in which Christians would meet daily to read and pray the Word of God together as a community in order to live as God’s Word in the community. In the services of Morning and Evening Prayer we read the Bible every day, each year, for the rest of our lives with the result that we would live story-formed lives. As old record albums had grooves cut in them for the needle to follow, Christians lives deeply cut in the scriptures have grooves in our souls that make our lives sing Jesus to the world. The scriptures and the ancient prayers based upon those scriptures form a daily routine grooving the patterns of Jesus into our lives, transforming us into the image of Christ through a pattern that we surrender ourselves to – an immersion in the scriptures deeply permeates our souls s0 that when tough times come we go into layup mode-automatically channeling the stories, cadences, and rhythms of the presence of God. What might we be like if Christians were so formed and immersed in the scriptures that we had the time in the scriptures that Larry Bird had in shooting jump shots? I have a feeling that we might be like Metamorpho-the super hero so transformed he could never return to his former state. We are, each of us, being shaped by something…always being conformed into the image of something. What is it you are being formed into? What if we were shaped by daily immersion in the Bible? What if we read it, prayed it, and did it together, as a group? My guess is that we would be, as Paul described, “transformed into the same image from one degree of glory to another.” A daily ritual such as the Daily Office is a chance to have a “warmup routine,” a familiar pattern that conforms us to Christ by immersing us in the scriptures. When embraced over time it gives us the ability to, like Larry Bird with a basketball, get to places spiritually we could never get another way. My part-time job teenage job was Phoenix Suns ball-boy. While my friends worked the usual food service and retail gigs, I worked the visitor’s team bench and locker room. I wasn’t just paid better than my friends, I watched games from the floor and had the opportunity to rub shoulders with NBA Hall of Fame greats like Kareem, Dr. J, Magic Johnson, Larry Bird, and Michael Jordan. Well, maybe “rub shoulders” is overstating it. I tossed them towels and put their jerseys on their shoulders when they came out of the game. During those years I noticed something: The very best players, the really great ones, all had a consistent warm-up routine they followed identically, even superstitiously, before each game. Game nights for me involved arriving three and a half hours before tipoff to set up the visitor’s locker room with towels and soda before the team bus pulled up an hour later. One afternoon in February of 1980 I entered the bowels of Veterans Memorial Coliseum to hear the echo of a basketball being dribbled. I craned my head toward the court and saw the arena lights already on through the tunnel. The security guard, seeing my confused look informed, “Some Celtics rookie showed up early.” I set up the locker room and walked into to the court to see this curiosity for myself. Larry Bird had finished his layup cycle and was shooting his way “around the world.” I guess Larry had paid for a cab to arrive early and go through his routine. Seeing my ball boy jersey, he asked if I would shag balls as he shot his way farther and farther away from the basket. 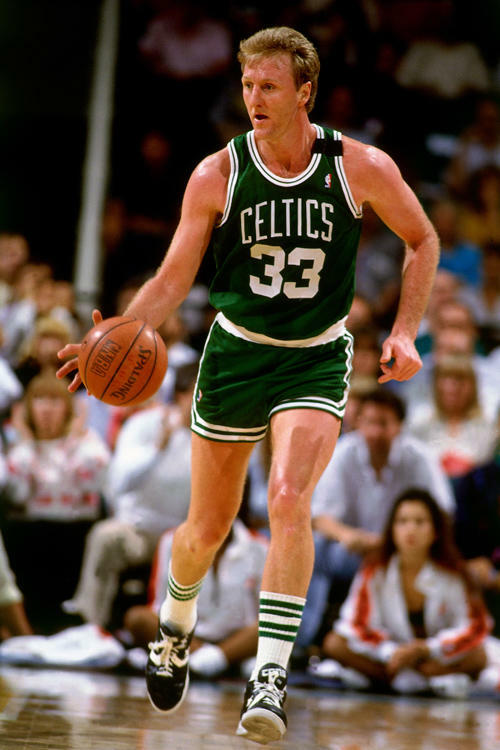 Fans of professional basketball may know that 1979-80 was not only Bird’s rookie season, it was also the first year of the three-point line, which at 23’9’’ is quite a distance to hurl a basketball with either form or accuracy. Larry continued to shoot his way further from the basket until he was at the 3-point line. Larry Bird was a forward. I had not seen a forward shoot from the still new and rarely used three-point line. What Larry did next I had never seen any player do: He continued to move beyond the arc until he was shooting a full 10’ behind it. I grew impatient chasing balls shot from a distance one could not possibly use in a game. I asked him why he was wasting his time. Larry responded in his Indiana drawl, “You never know,” he said winding up a shot from 12’ past the line on the right side of the arc near the scorer’s table sideline, “when I might need this shot to win a game.” I almost laughed out loud – an NBA coach was not going to give a game-winning shot to a rookie. Five hours later, with time running out and the Suns holding a two-point lead, the Celtics broke their huddle and inbounded the ball to Larry Bird. The rookie dribbled into the front court where he launched a 30’ shot from within three feet of the spot he had told me he might need to shoot from in warmups. His shot caromed off the backboard and dropped through the net giving the Celtics a one-point lead over the Suns with half a minute left. How did Larry make impossible shots look easy? The answer: repetition – the thousands of shots Larry had launched in his practice routine.